What Kind Your Inside House Is — Ginger writes. I keep working on my inside house, and writing is the spotlight to help me see what I'm doing. I find myself bored with what I have to say lately, and that makes me think there is more living out there to be done. I question often whether my desire to stay home is a mechanism of self-protection or a solid foundation upon which my children's natures (and love of nature) are being built. I think it's probably both, and TJ reminded me that it's a Western way of thinking to say our kids need entertaining or adventuring to be emotionally healthy. We had one little outing last week to Furman which hit the spot. Cash has become obsessed with swans due to our reading of The Trumpet of the Swan over the past month. Story and Sailor follow suit and feed Cash's interests even more with their acceptance and enthusiasm for whatever his favorite animal of the moment is. 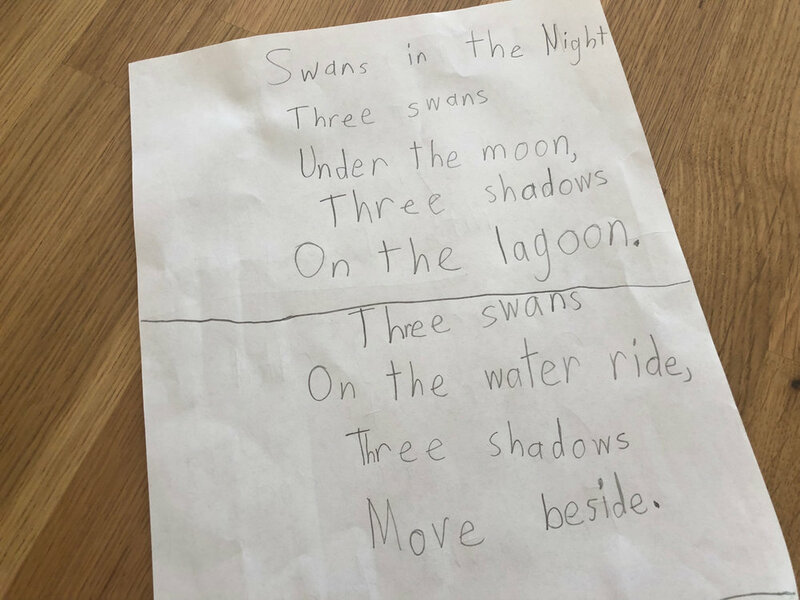 Story copied a fitting poem for Cash, who dreams aloud of going to Alaska and Montana to see the trumpeter swans. 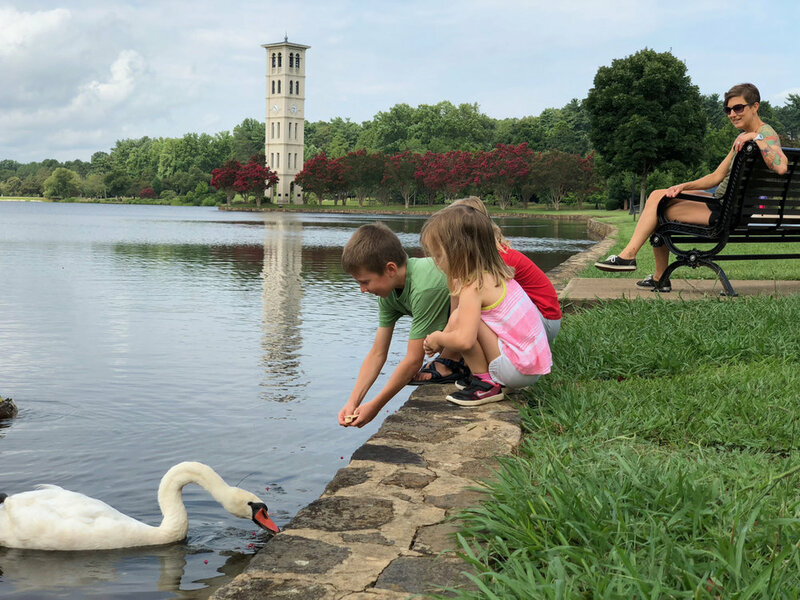 In the meantime, the kids enjoy spotting the mallard ducks and mute swans on our lake at home, while the morning at Furman was a waterfowl wonderland that whet their appetite for exploration even more. I have been thinking about Mark 14:8 all the time lately: "She did what she could." 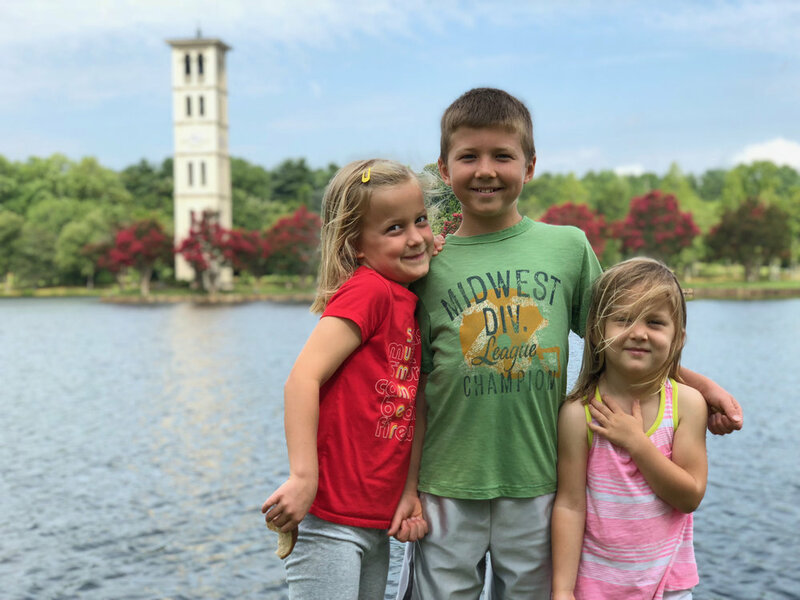 So I took the kids to Furman and we walked on dear green earth somewhere besides our yard. I have been thinking about what I can do, what is mine to do, what my responsibility to my children is, what my call as a mom is, how God made me, what version of Ginger he had in mind when he dreamed me up, and all at the same time, I feel like God has reminded me lately through the Shauna Niequist devotional I'm reading this year that he is delighted in me AS IS. I want to grow and change and be better, and yet I am okay. My inside house needs work, but as Richard Rohr said, "There's no answer, no problem-solving, simply awareness." God is aware of me, my kids, the swans, and all our desires. I am less aware than he is, but I can rest in God's awareness and goodness and delight. I can practice delighting in my children and the things that delight them, both at home and on a little trip every once in a while. We are each a work in progress, a good work that the Lord is building day by day. I may not always manage it cleverly or naturally, but the lady swan's last line could not be more true.